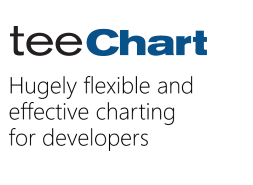 I am using TeeCHART for java version. Because of performance, 4000 png image creation, considering TeeCHART for php version. But java version erformance is more better than php version. -- executed but performance is very bad. -- not convert into php version. how? Does it works fine for you ? - One by using the OnGetAxisLabel event : You can find one example into the Features demo (under Axes\OnGetAxesLabelEvent.php).